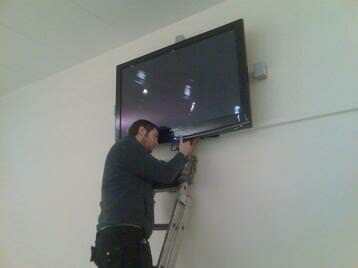 Eighton Installations are one of the longest established installers of television equipment in the North East. At the heart of the business is a genuine desire to provide second-to-none customer service and a perfect finish. We understand that due to the speed technology is moving in the industry, having this in your home can seem daunting. We never leave a home until every aspect of how your equipment works has been explained and demonstrated (without technical jargon) and the customer is happy. If you do get a bit stuck, we're only a free phone call away. This along with highly competitive pricing and only using the best equipment is why most of our work comes from word-of-mouth recommendations. All aspects of Aerial work i.e digital aerial upgrade, Freeview HD upgrade, multi room systems, links to other rooms from an existing aerial, (bedroom/kitchen etc), new build homes and repairs. 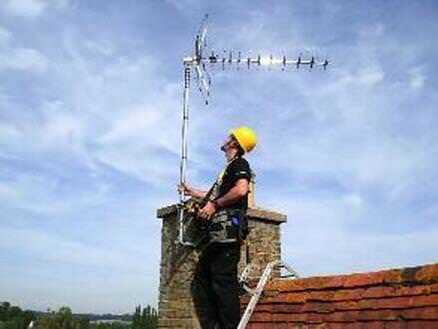 Satellite dish installations for BBC Freesat, Freesat HD or foreign channels. Supply and installation of Sky+HD box and dish, with a viewing package of your choice. Something which is becoming very popular is being able to watch and control your Sky box in any room(s) in the house. 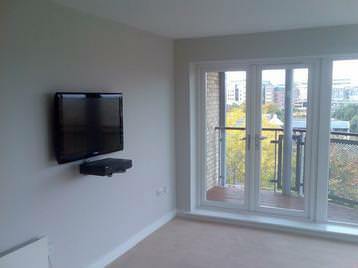 TV Wall mounting (see pictures) has really taken off as people look for modern, space saving ways to place TV's. Our skilled installers can mount any size and type of TV, supply the correct bracket and cables, (with options to match any budget) and leave after tidying and vacuuming the room. Among our loyal customers are: ASDA Wal-Mart, Sunderland Education Authority, Gateshead Council and various Pubs and Clubs. 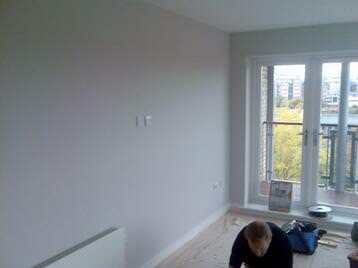 Additional telephone or broadband internet points supplied and fitted into rooms of your choice. Sometimes all you may need is someone to come along and tune in your equipment after buying something new, and be shown how to work it all. Be it a DVD Recorder, VCR, BluRay player or surround sound system etc, we can help. Alarm and CCTV Systems. After a free no obligation site survey, we can quote for either a repair to an existing alarm, battery change, extra zones added or a new system install. Eighton Installations - Always getting a great 'reception', wherever we go. For prices on all other work such as wall mounting and alarms, as every job is different, we ask that we may visit you for a free, no obligation quote. You may if you wish call us later with your decision after considering it. We are rarely beaten on price, and so long as it is a like for like quotation that is lower than ours, we will beat it.